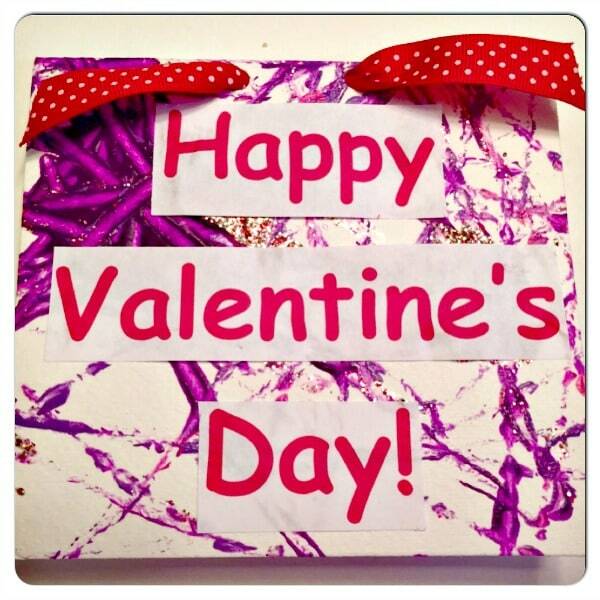 Are you looking for some fun activities to keep the kids entertained on Valentine’s Day? 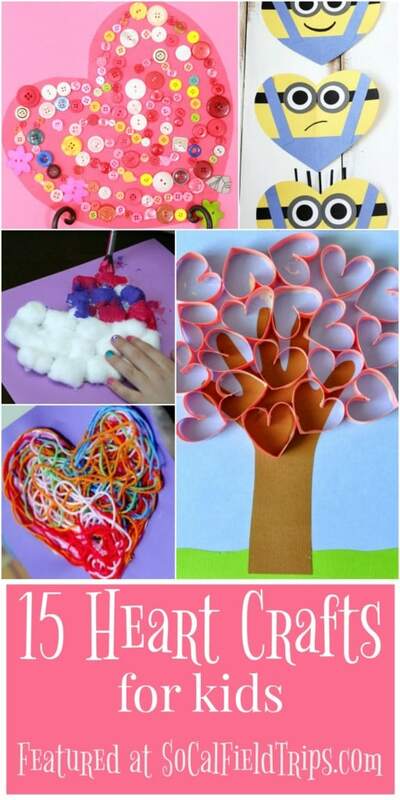 These 13 Creative Valentine’s Day Crafts for Kids are surprisingly a little silly, but sure to delight your little sweeties. What’s not to love? 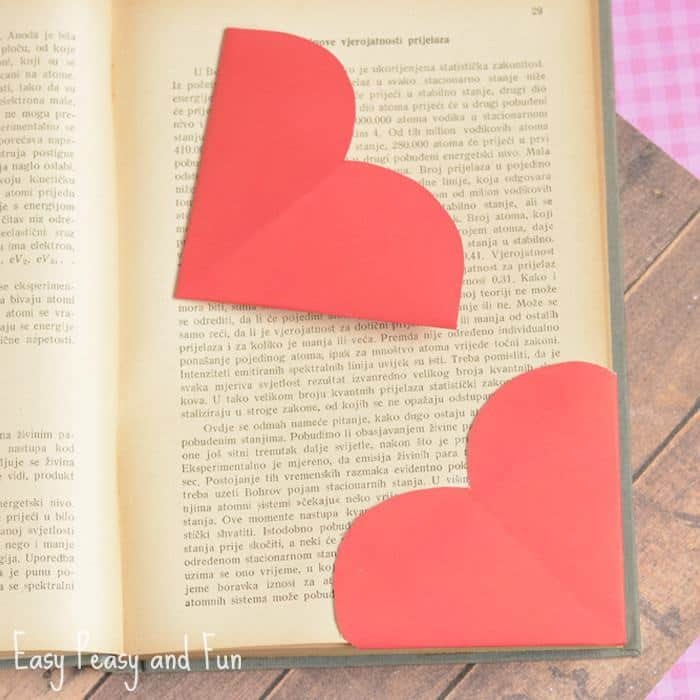 These small bookmarks are perfect for bookworms! Mark your page with a little bit of love. 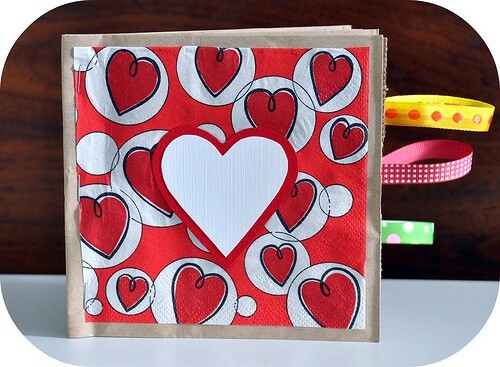 Make this Valentine’s Day themed paper bag book as an easy way to list the reasons why you love someone. 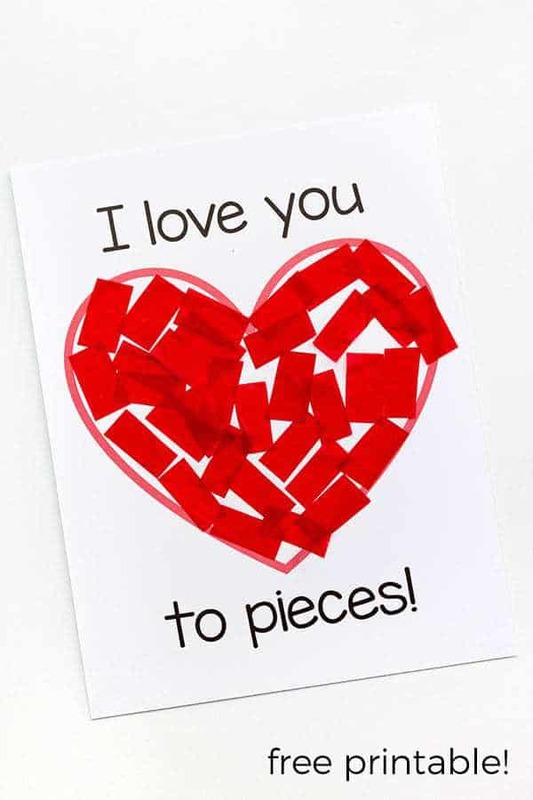 This free printable makes it easy to create your own “I love you to pieces” Valentine’s day card. 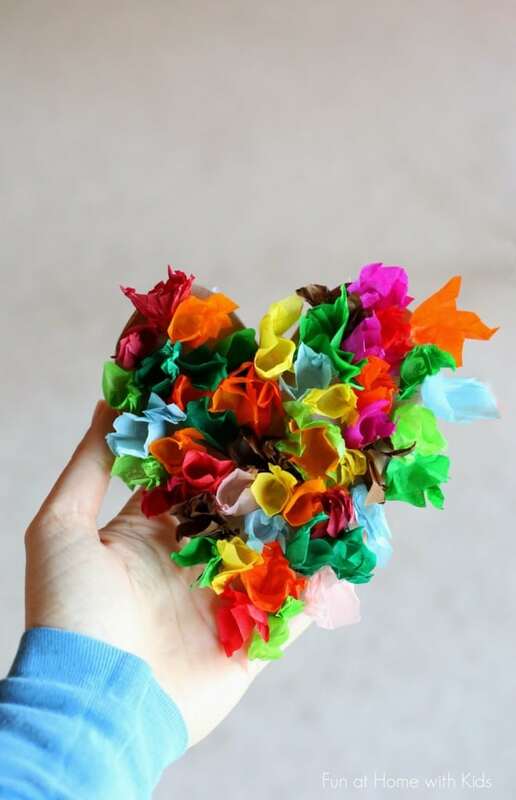 Use tissue paper or construction paper for this craft. 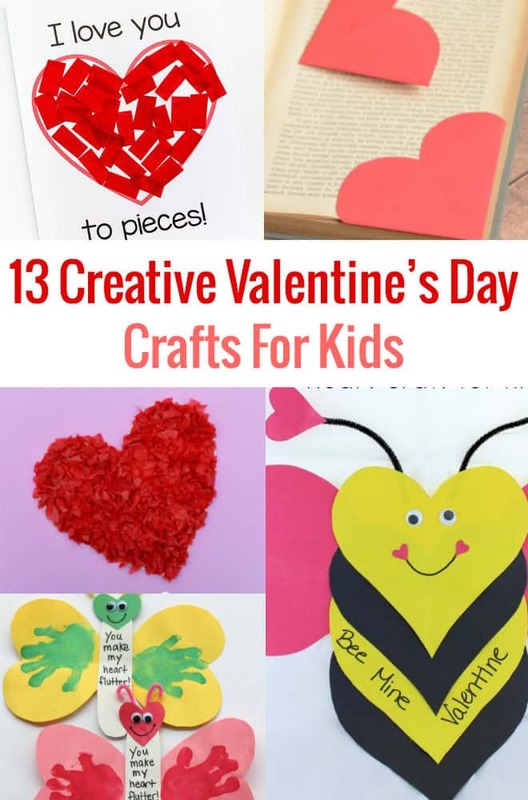 Valentine’s Day is a great excuse to have a crafty session with kids – after all there’s nothing better than receiving a little homemade card or craft from someone you love. 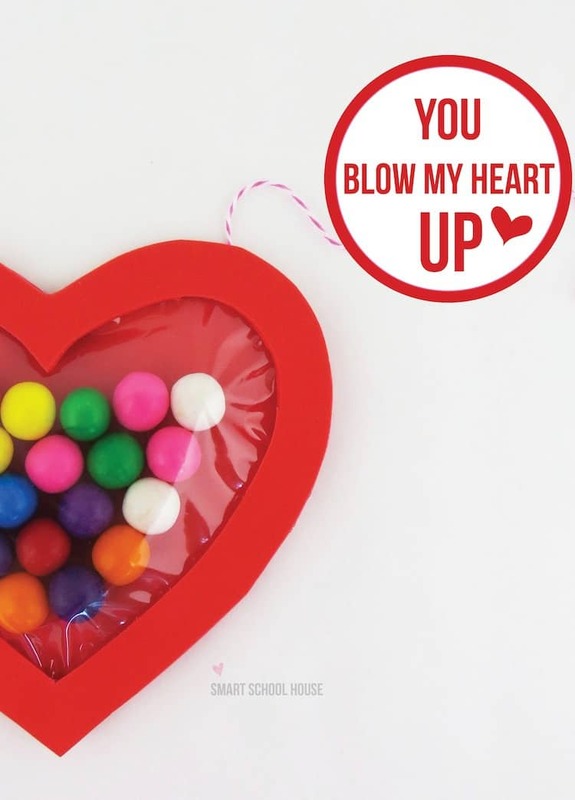 So to help celebrate this season of XOXO, we waved our magic cupid wand and put together this large collection of 15 Heart Crafts for Kids. Plus make sure to scroll all the way through, because you’ll find something for every age group and ability. Enjoy! I love the holidays! Any holiday is a reason to celebrate. In fact, now that Christmas is here, I’ve already started planning and thinking about Valentine’s Day. 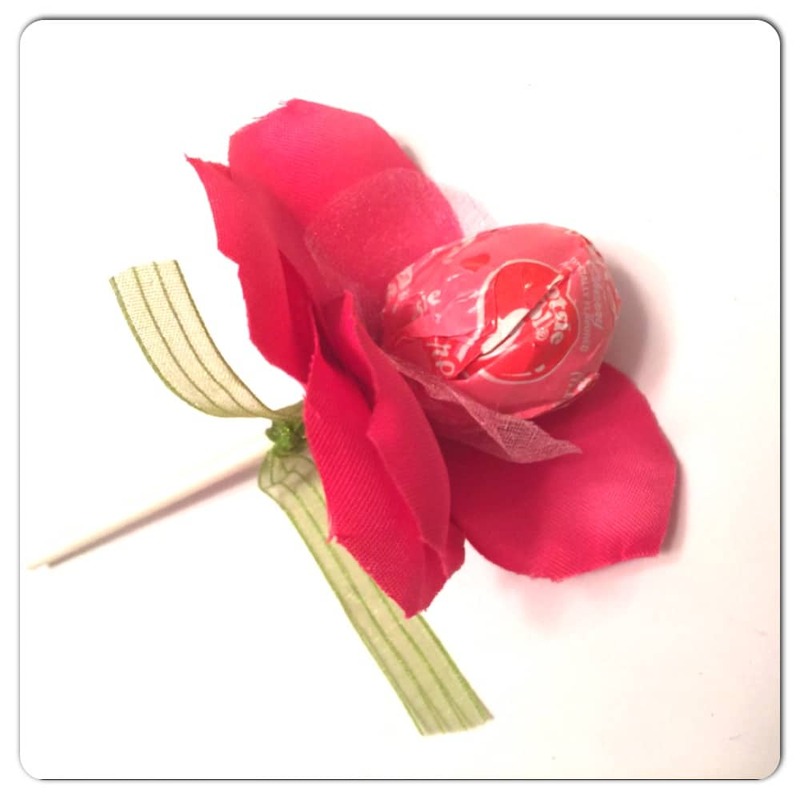 I’m pondering what I want to make for my daughter to hand out as Valentine’s Day presents for her classmates and teacher. Since Field Trip Girl is in elementary school, the principal still allows the students to have class parties and hand out Valentine’s Day cards to each other. 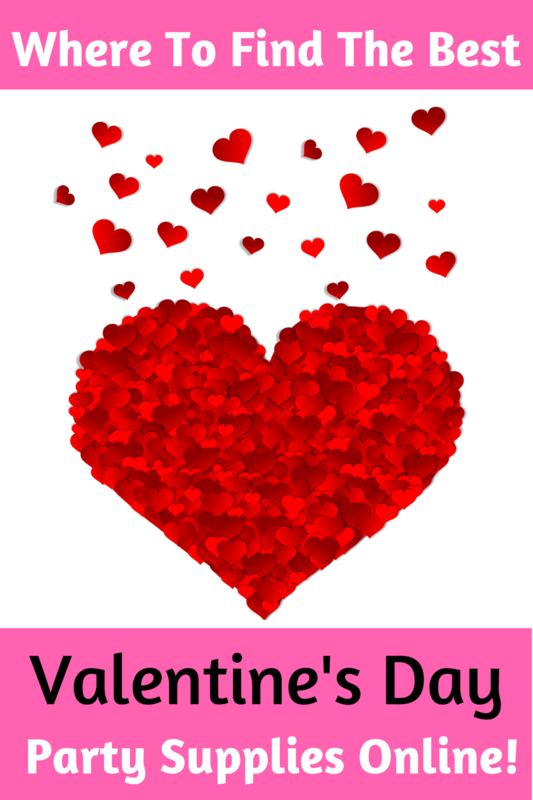 But believe it or not, some schools have completely done away with Valentine’s Day parties. They don’t want teachers to take time away from instruction or encourage kids to eat too much candy. This is so sad in my opinion. 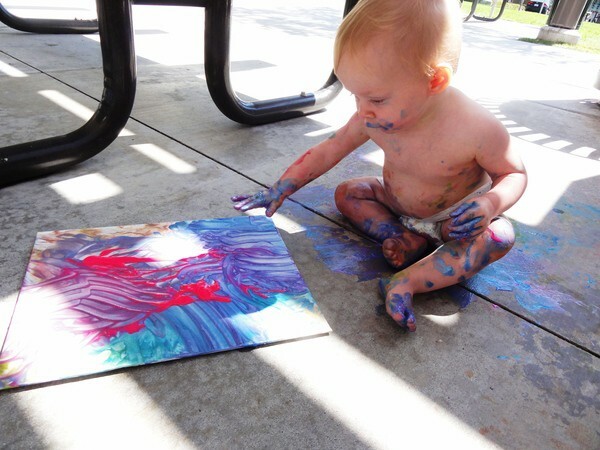 I believe kids need to have fun for as long as possible. So, in our house, we celebrate all the holidays including Valentine’s Day, St. Patrick’s Day and even Ground Hogs Day (really)! One of my favorite places to shop online for holiday craft and party supplies is PaperMart.com. 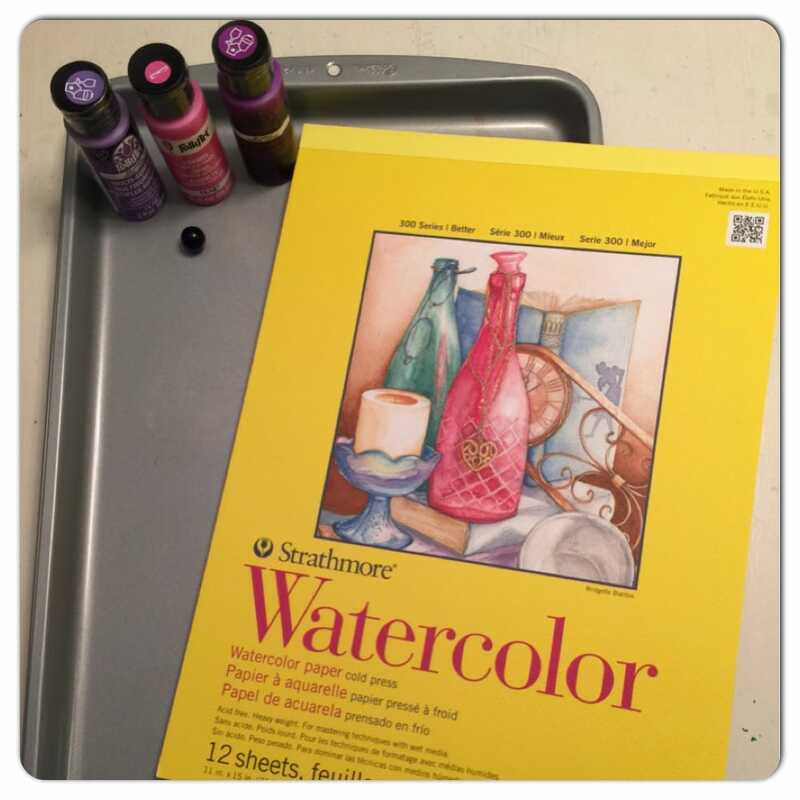 PaperMart.com has so many great products to choose from that allow me to be creative when the holidays roll around. For example, for Christmas, I like to order ribbon for wrapping presents on PaperMart.com. Their ribbon tends to be stronger and more durable than what I can get at my local craft store. For Easter, I purchase my children’s Easter baskets from PaperMart.com, because they have the largest of natural baskets made of bamboo, seagrass and willow. 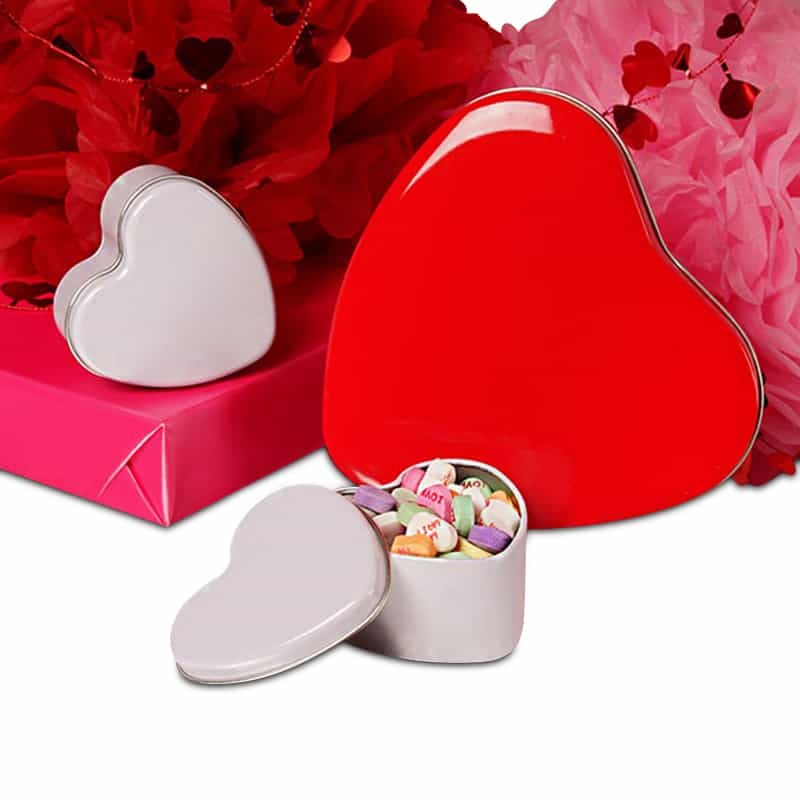 After much thought, I’ve decided to order these heart shaped tins and create a Valentine’s Day present for each child in my daughter’s classroom. I want to use them as gift containers and put small trinkets inside including heart shaped erasers, cute cupid stickers and pretty flower stamps. 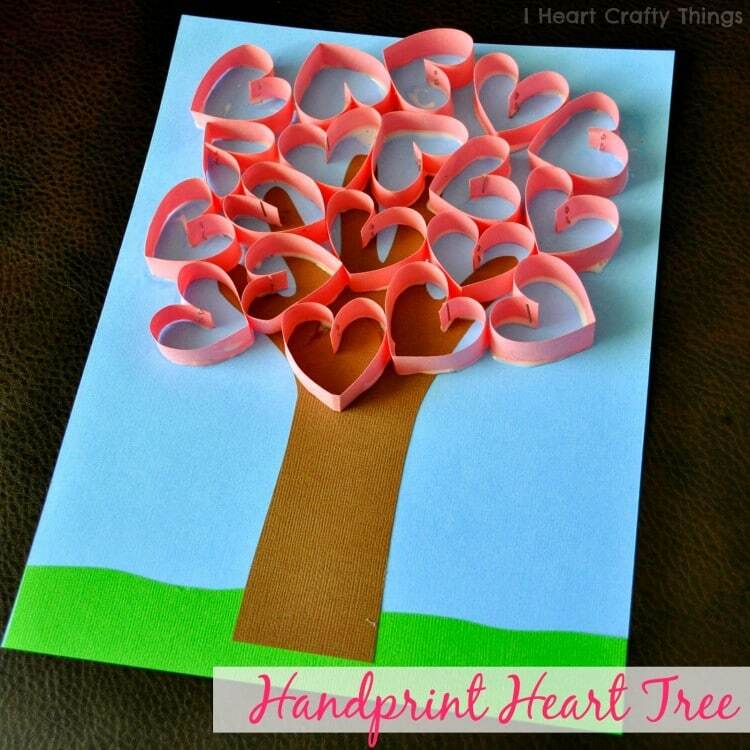 Do you need a last minute Valentine’s craft for either a school, Girl Scout’s, homeschool or playgroup party? 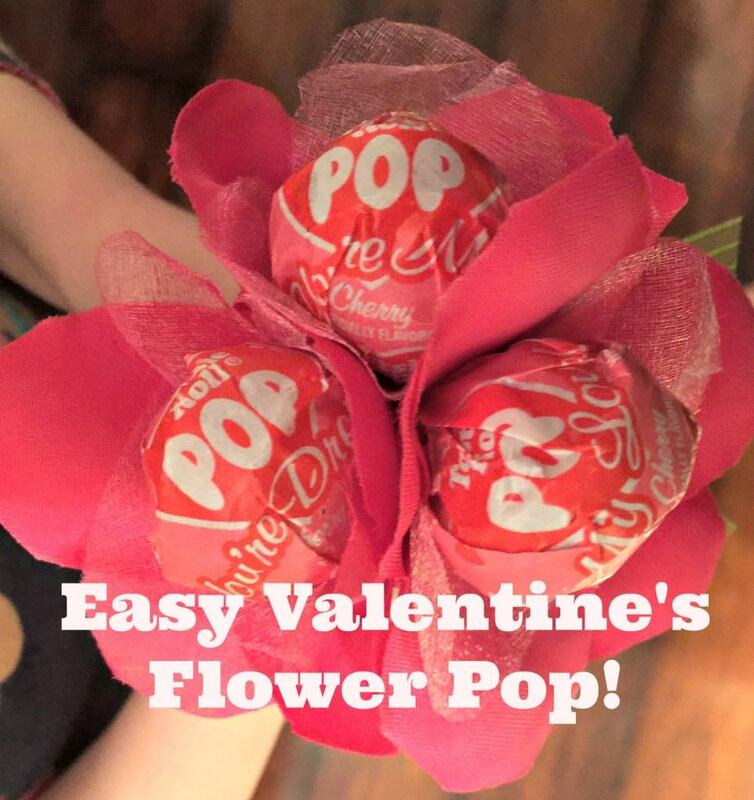 Then this 3-step Easy Valentine’s Day Flower Pop is perfect for your occasion!